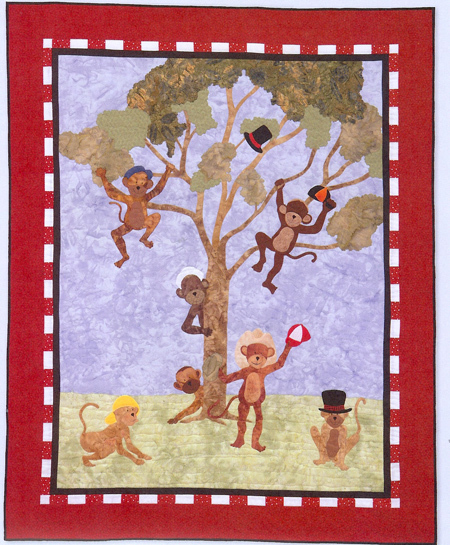 Awhile ago, a reader suggested that I might highlight the work of incredible appliqué artist Deborah Kemball. I agree! 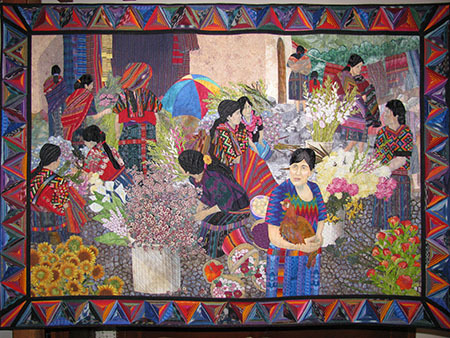 I don’t know Deborah but I have been admiring her gorgeous work and have been collecting references to her as I come across them. 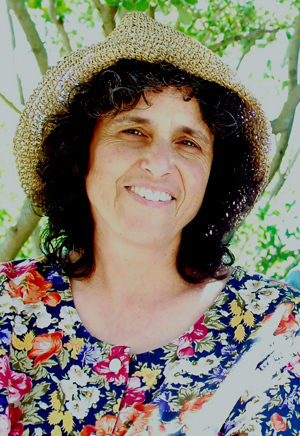 Deborah is the author of the very successful and lovely book Beautiful Botanicals. 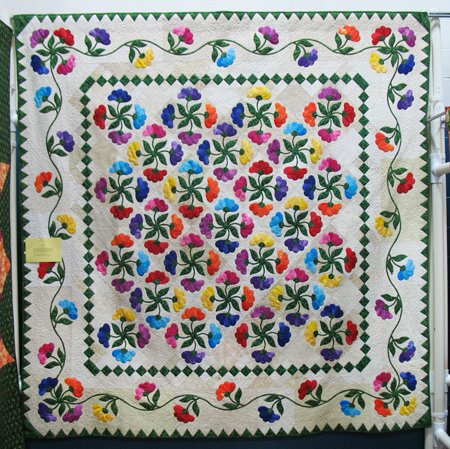 In an interview in the newsletter of The Appliqué Society, I learned that Deborah does all of her work by hand, including the quilting. I was truly gratified to learn that she works quickly because she is not a perfectionist! 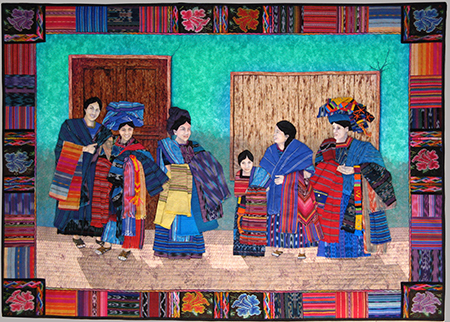 If she’s unhappy with anything she makes it work later with embroidery or an additional motif. 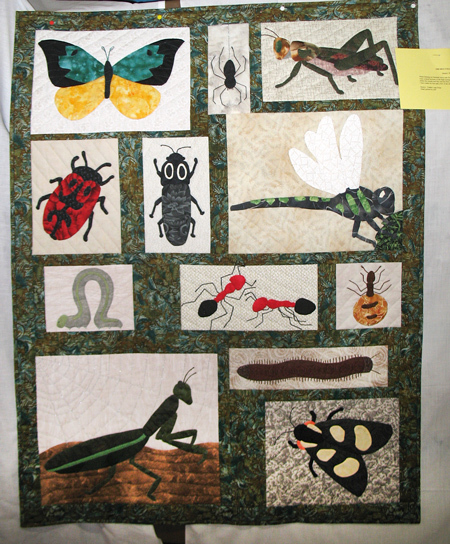 At the 2011 AQS Lancaster Show, Deborah’s Midnight Garden won First Place in the Appliquéd Quilts, Hand Quilted division. 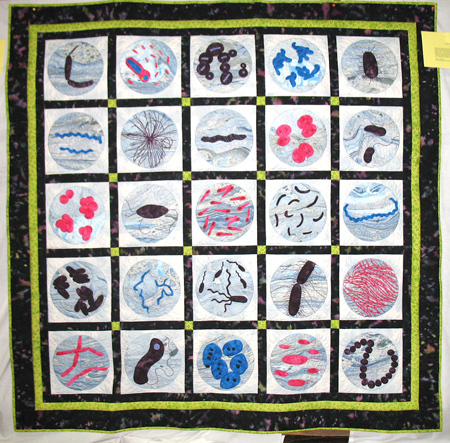 You can see this beauty on Deborah’s Gallery page. 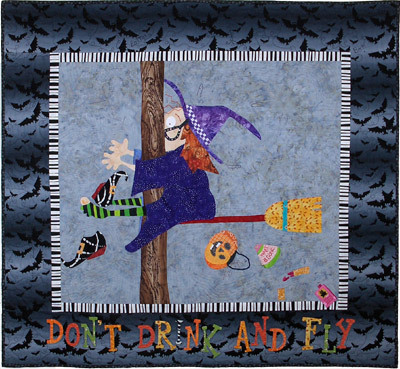 It’s one of two quilts in her pattern pack Twilight Garden Quilts. 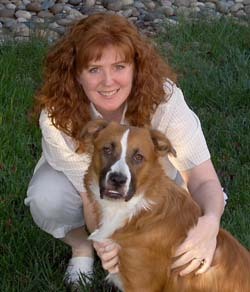 Deborah currently lives in Chile and has started to include information about her techniques on her blog. 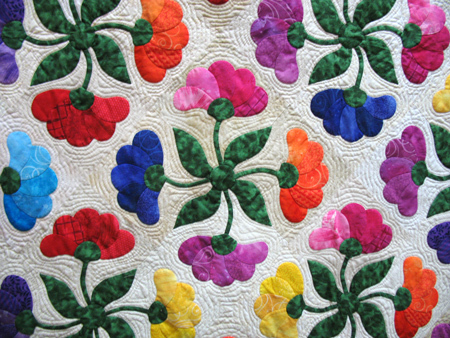 We will all continue to look forward to more beautiful appliqué from this gifted self-taught quilter. I got a note from Lynn Miller in Arizona. 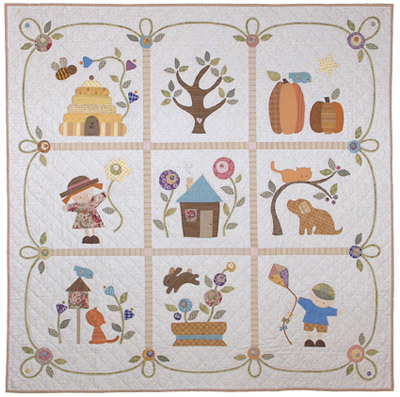 I knew the name was familiar, but it wasn’t until I looked her up that I remembered Laurene is the author of the classic Appliqué! Appliqué!! Appliqué!!! Laurene is also the author of Primitive Folk Art Designs From Antique Album Quilts as well as several more books on appliqué and redwork. 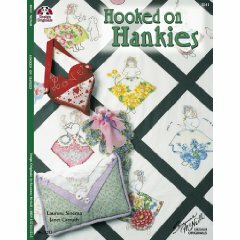 She’s a co-author of the popular Hooked on Hankies. 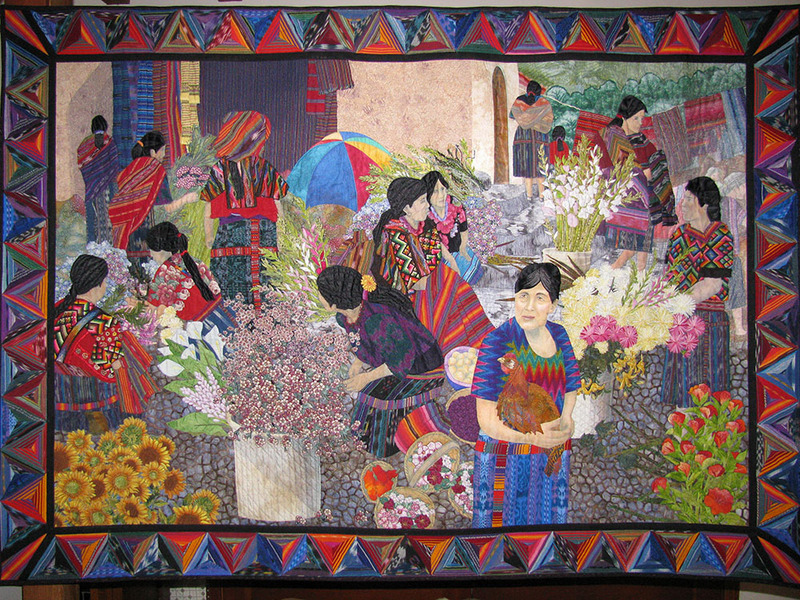 The AQHF article tells of Laurene’s many important contributions to the quilting scene in Arizona and around the world. 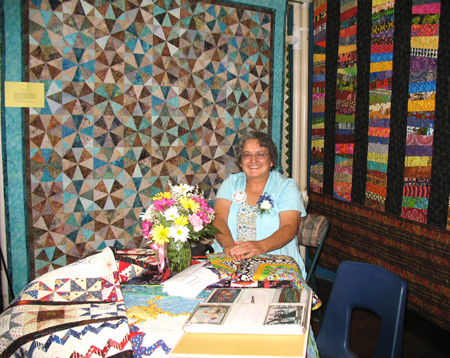 She opened the first quilt shop in Phoenix, founded the state-wide Arizona Quilters Guild, and served as president of the Arizona Quilt Project. 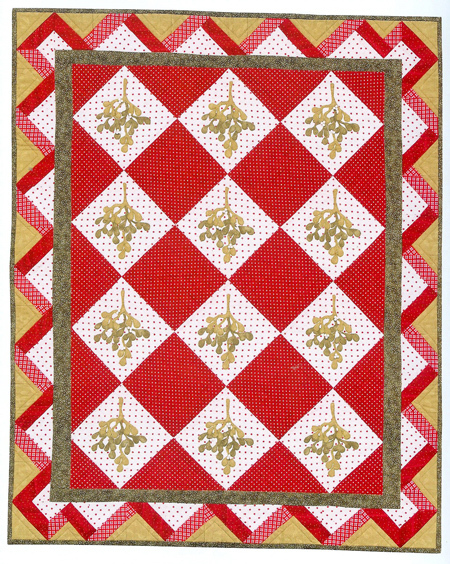 She was instrumental in the redwork revival when she helped coordinate an exhibit one year at International Quilt Market. 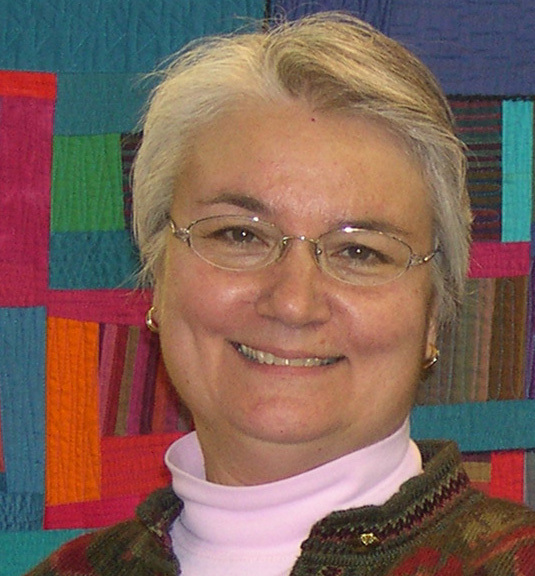 On the Quilt History website, Laurene is remembered as “warm, upbeat, and sharing.” Her legacy lives on in her books, patterns, fabrics, and the memories that many quilters have of her talent, energy, and inspiration. 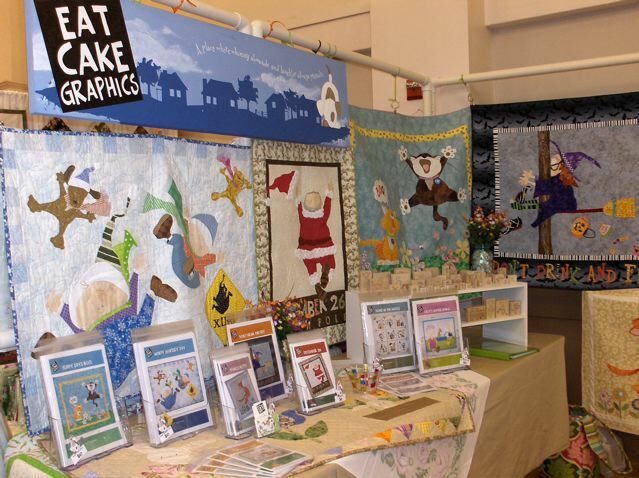 I met Holly Mabutas a year and a half ago at a quilt show in Hollister, California. 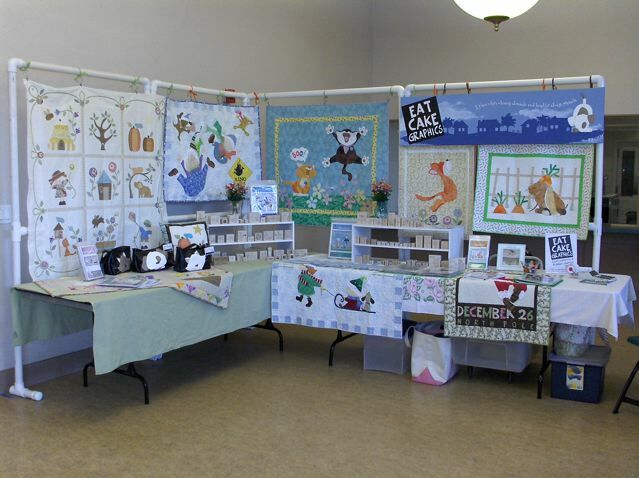 When I saw Holly’s Eat Cake Graphics booth, I was instantly captivated by her darling appliqué style. We became friends right away. 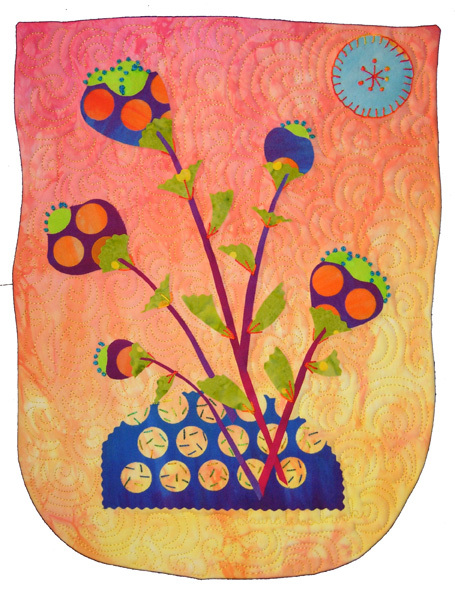 I’ve been bugging her to give me an interview because I’m fascinated with her story of rubber stamps and appliqué designs. 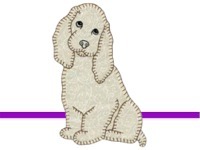 Here’s Holly and Puppy Tucker, the star of her blog, Sprinkles of Thought. Kay: Holly, how did you get your start in cartooning? Holly: You know, I can’t ever remember a time when I didn’t doodle. I do remember seeing my mom do a little sketch of our dog when I was young. I was fascinated watching the pencil lines come to life and wanted to be able to do the same. Kay: Where do you think the inspiration comes from for your adorable style? 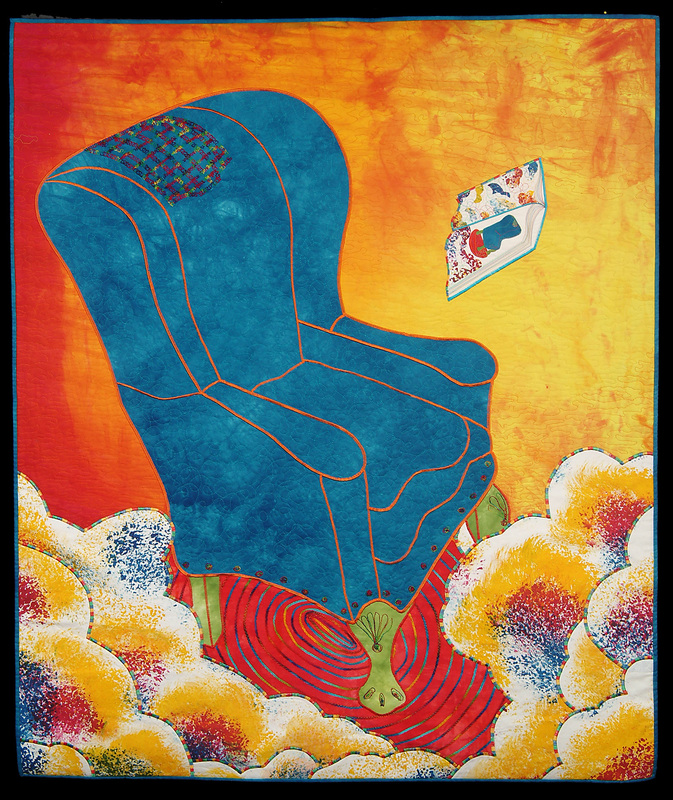 Holly: I’ve always loved the cute and whimsical world of art. I was a HUGE fan of the comic strips Calvin & Hobbes and Bloom County. I also love children’s book illustrators – and have quite a few books (is that bad to admit for someone over 40 whose children all have fur and tails). I also think that I’m drawn to whimsical stuff because with everything going on in the world I want to focus on something happy, so that’s what I draw. Kay: Tell me how you started up your rubber-stamp company. Holly: I actually worked in a rubber stamp store in Los Gatos, California, for quite a few years. I was in there all the time and they asked if I’d like a part time job – I jumped at the chance, of course I never really did see a paycheck. Then I was approached by an acquaintance of my mom’s. She wanted to know if I might like to go into business, again I did a happy dance and said yes. Eat Cake Graphics came about when my business partner and I decided to go our separate ways. I actually “opened” (although there were no balloons or fireworks) in January 2000. So here I am, eight years later with over 600 images and still trying to figure out the ins and outs of online shopping carts – good grief does it ever get easier! 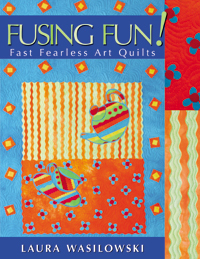 Kay: Tell me a little bit about how you segued into quilt patterns. 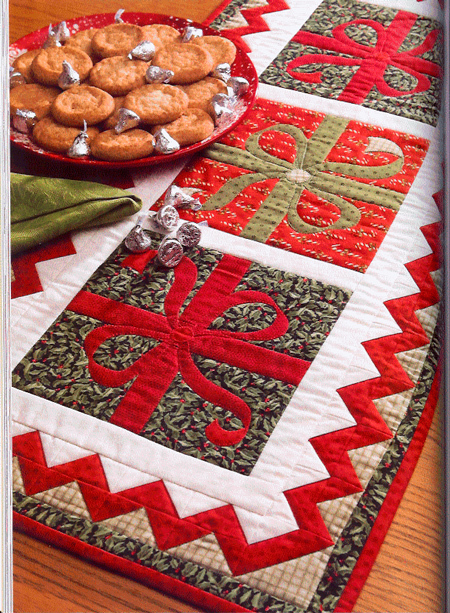 Holly: I never really thought I’d be designing quilt patterns! 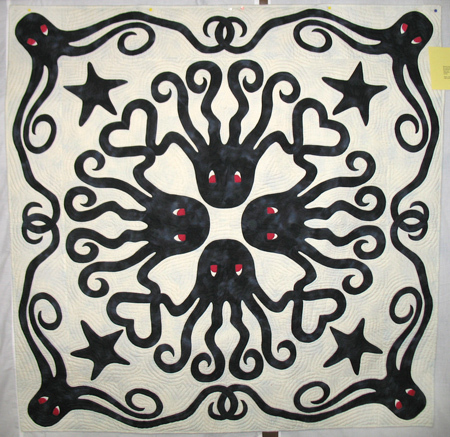 I walked into a quilt shop in the mid/late 90’s and saw a quilt on the wall using a technique called appliqué. I thought it looked fun so I signed up for a class. It was fun but it wasn’t until I stumbled upon another appliqué technique, using a gluestick, that I really became hooked (probably more like obsessed). In one of the ongoing monthly classes I was asked if I could come up with some simple blocks to go along with a project we were stitching. I said sure. I think it was then the light bulb went off and I thought, hey, I really like seeing what my little sketches could become in fabric. I took some of my stamp images and on my computer played around with the layout, took the printout to a local copy shop, enlarged it, came home and started playing with fabric. It actually worked and when I showed it to people they asked about a pattern…and well, here I am. Kay: Thank you, Holly, for giving us the back story. Here are some of my favorite of Holly’s patterns. Holly gave me her pattern insert with instructions for her turned-edge gluestick appliqué method, and in my next post I’m going to give it a whirl. I’m always interested in learning new ways to appliqué! 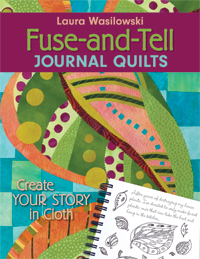 This one combines glue-stick prepared-edge with hand stitching. Stay tuned! Ever since I started this blog I wanted to do a feature on fellow designer Darcy Ashton. Darcy lives in Oklahoma and even though we’ve never had the chance to meet in person, she’s been an inspiration, a mentor, and a friend. Darcy runs a one-woman publishing company, as do I, and has been a great help to me with the benefit of her experience. 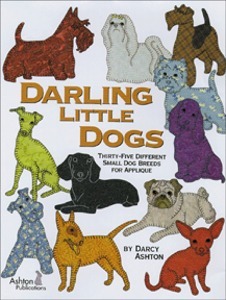 If you’ve been a quilter on this planet, you’ve seen Darcy’s distinctive and highly successful books featuring remarkably realistic-looking animals done up with buttonhole stitching. 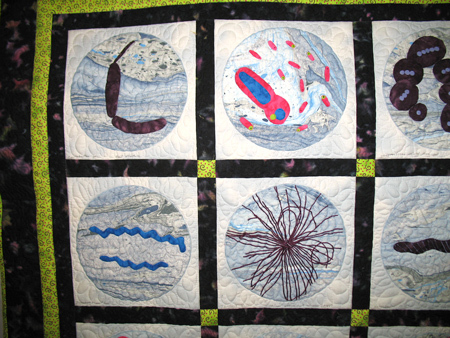 Amazingly, most of them are made up of only one piece of fabric. 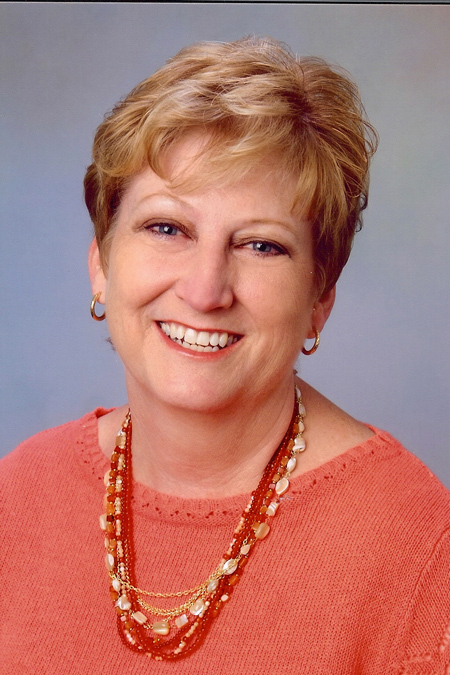 Her resume includes such titles as Grandma’s Bunnies, Claire’s Cats, Butterfly Dance, Aquatic Creatures, Darling Little Dogs, and Beautiful Big Dogs. Darcy had worked in graphics at several companies until the time her two small children came around. Then she learned that her current employer was closing and she’d be out of a job. Admitting that it was “actually a bit of a relief,” Darcy purchased her computer workstation from her former employer and settled at home to raise her kids. That UFO changed Darcy’s life. Guess what was on it? Bunnies! Adorable appliquéd bunnies with embroidered details. Darcy finished Grandma’s bunnies and put it up on her wall. Then, she says, every time she looked at it, she wondered why they didn’t have any tails, and why their whiskers were so long. Pretty soon she was re-drawing the bunnies and making her own quilt. Without Darcy’s income, the family started to run on a tight shoestring. And, having worked for years, Darcy also started to feel the desire to have something to think about and work on in addition to taking care of her children. 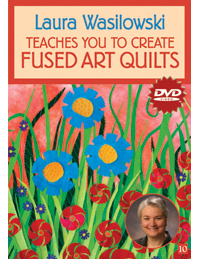 She got the idea that she could start teaching appliqué. 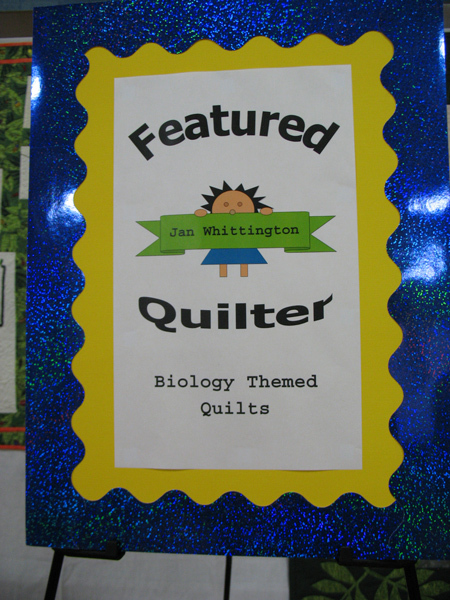 When she went down to her local quilt shop with her bunny quilt to ask the owners if she could teach a class, they kept getting interrupted by quilters wanting the patterns! That was a light-bulb moment for Darcy. 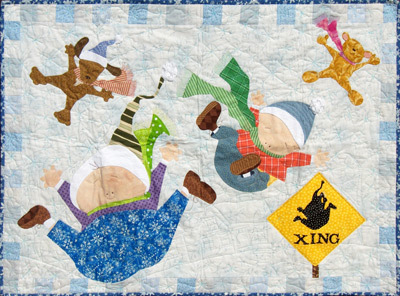 With all of her experience working in graphic arts and publishing, she was very well prepared to put out a book of patterns, and published a limited number of Grandma’s Bunnies. The first printing didn’t last long. Word of mouth spread so fast and so far that before she knew it, Darcy was reprinting and selling far and wide. 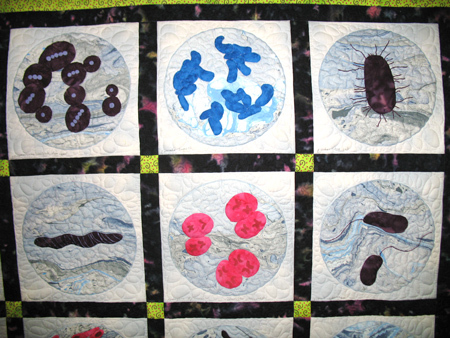 Then quilters wanted cats. 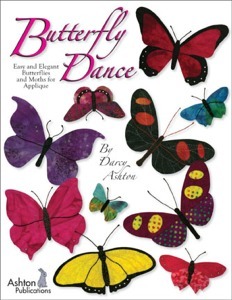 So Darcy published Claire’s Cats (named for her daughter) and hasn’t stopped producing amazing books since! 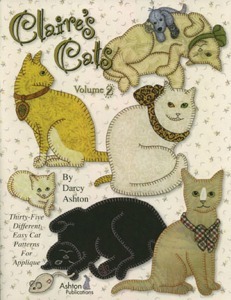 The original Claire’s Cats has been so popular that when Darcy recently came out with Claire’s Cats Volume 2, there was such an overwhelming demand for the first volume to go with it that Darcy decided to reprint it once again. If only I could get into such a predicament! 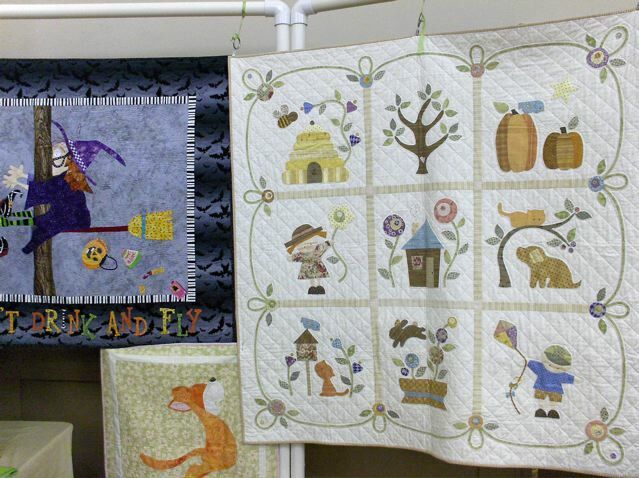 Darcy prefers to support our wonderful independent quilt shops, so ask for her books at your favorite shop. 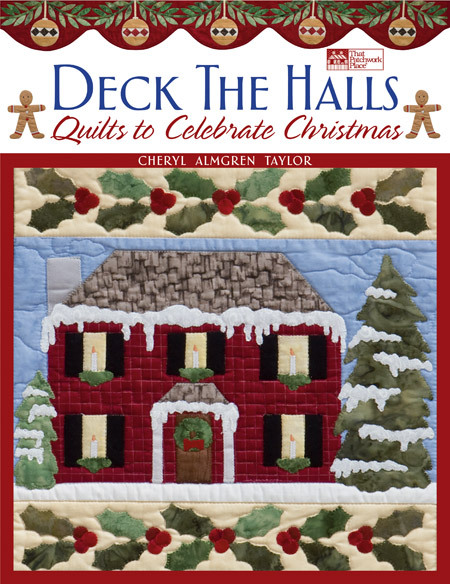 She also sells her books and patterns from her website, Ashton Publications if that’s a better option for you. Darcy recently started a blog at www.DarcyAshton.vox.com, and take it from me, she’s quite the photographer as well. To top things off, Darcy has graciously permitted me to post one of her free patterns for download! Here’s the bonus pattern from CC V 2. Enjoy!